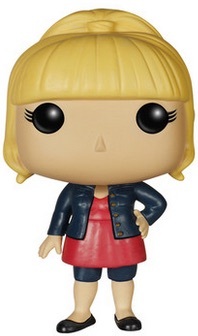 An unexpected hit that debuted in theaters during the fall of 2012, Pitch Perfect fans have another option to add to their collection thanks to Funko Pop! vinyl figures. 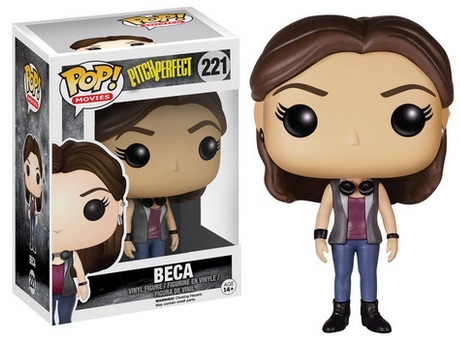 The 2015 Funko Pop Pitch Perfect line includes three members of the Bellas. 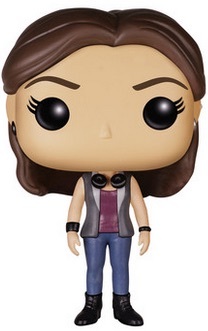 Although the Funko Pop! checklist is relatively small, the more noteworthy characters from Pitch Perfect are covered. This includes Anna Kendrick as Beca Mitchell, Anna Camp as Aubrey Posen and Rebel Wilson as Fat Amy. Each figure showcases the trademark sass of the college a cappella group they compete with in the movie. Based on the success of the first film, Pitch Perfect 2 was released in 2015 and Pitch Perfect 3 will arrive in 2017. 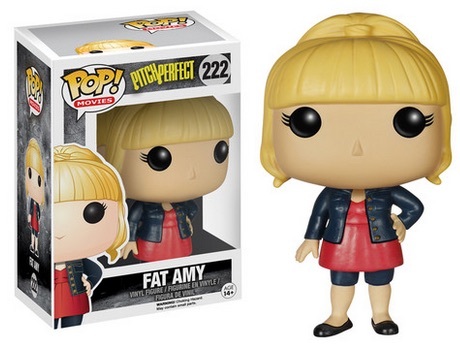 The Pitch Perfect vinyl figures are numbered as part of the Pop! Movies line and measure approximately 3 3/4".